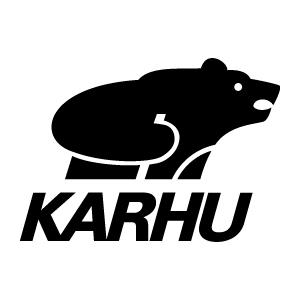 Founded in 1916, Karhu, meaning “bear” in Finnish, is a leading running brand in Europe and has provided technical running and outdoor gear for over 100 years. With an authentic heritage in running and a deep connection to the outdoors, Karhu follows the Finnish principles of design simplicity and running purity. Karhu shoes have been worn on the feet of some of the greatest Finnish runners, including Boston Marathon champion Olavi Suomalainen and Paavo Nurmi, giving rise to the Flying Finns. During the 50s Karhu sells its three stripes trademark to a now well-known athletic shoe company that still uses it to this day. The price? Two bottles of good whiskey and about 1,600 euros. In the 70s Karhu develops the first patented “Air Cushion” midsole system for its running footwear. Today Karhu shoes and apparel are sold globally at running and lifestyle specialty retailers.